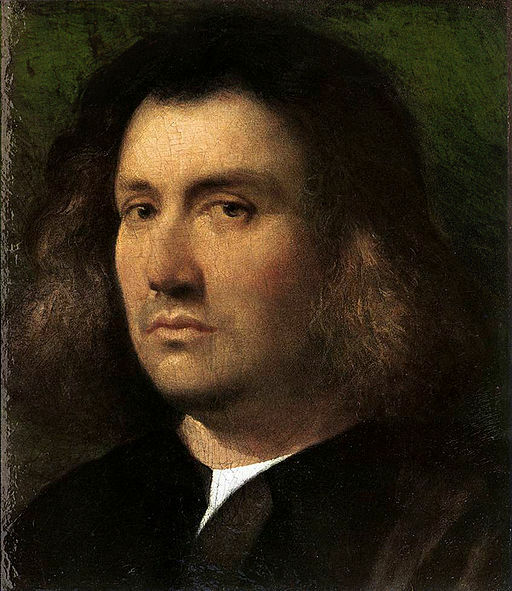 For me “Portrait of a Man” by Giorgione has the intensity and psychological engagement of a self portrait. The eyes look directly into our eyes and we feel the man’s presence and something indefinable yet deeply human is communicated. Giorgione was born in 1478, making him 28 years old in 1506, when the painting was made. The luminosity of the man’s face was achieved partly through new painting techniques in Venice at the time. A combination of underpainting (white areas for the light facets of the face) and “sfumato” (smoky) subtle overpainting shifting from light to dark as the skin’s surface turns into shadows. “In the Age of Giorgione” at the Royal Academy of Art ends June 5th 2016.